With Indian car industry denying to improve in terms of sales, carmakers are exploring new avenues. 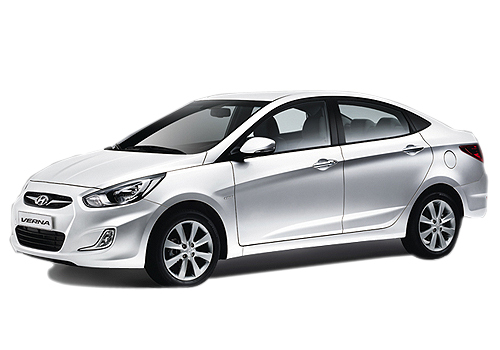 Hyundai has launched the Hyundai Verna Fluidic while Nissan has launched the Nissan Sunny car in Nepal. Nepal is a country that is crazy about cars launched in India. And, every other car maker also tries to launch it in there as soon as the car is launched in India. Tata did it to Tata Nano and launched it in Nepal and other neighboring countries soon after the India launch. The two C segment sedans in Nepal will be rocking the car market there and it could be possible that they may be selling in good numbers as Nepalese car market is also getting lucrative day by day as the economy of Nepal is picking up pace. Also, Nepal is the easiest destination for makers as it is the nearest as well. Another striking fact is that the two car makers are exporting the petrol models of the Sunny and the Verna to Nepal. Where Hyundai is exporting the 1.4 L and the 1.6 L versions to Nepal, the Sunny 1.5 L is being exported to the new destination. Both the Sunny and the Verna are some of the best sellers in India and are available in diesel and petrol version India. In Nepal, the car prices of cars that are exported from India are high as the import duty is very high. Thus the Verna and Sunny are priced between Rs 22 lakh to Rs 25 lakh. This is almost double the price of the car in India. Also these cars are imported in Nepal as completely built units and so there is high price. But it is sure that the two cars will make a space for themselves as they did in India and as per the recent reports, the two have already bagged considerable bookings. When the Hyundai Verna in Nepal is being introduced. Hyundai Verna is best car in sedan segment..